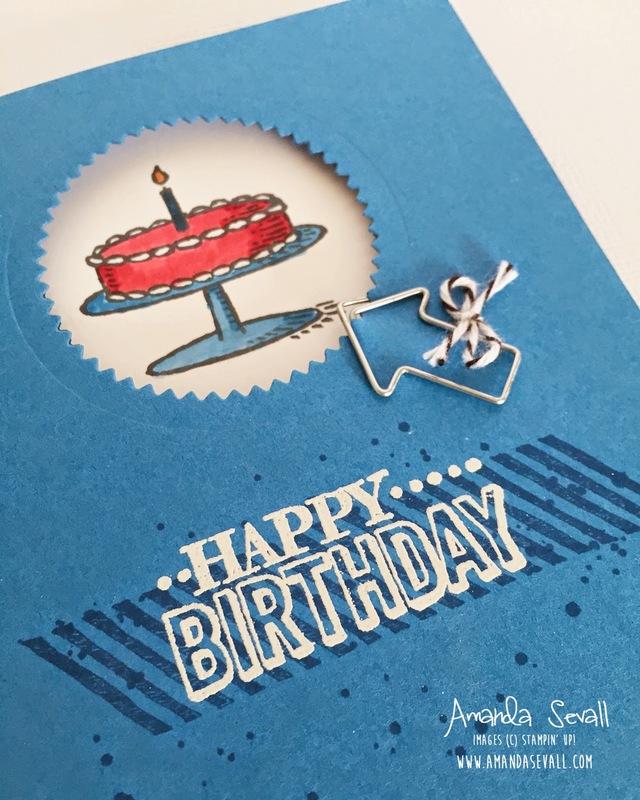 Amanda Sevall Designs: 365 Cards: Happy Birthday to my Husband! Last weekend was my husband's birthday! Of course, I had to make him a card. ;) I don't make manly cards often enough... this one was fun and came together quickly! I used the Starburst Framelits to cut a hole in the card front, stamped a background with Gorgeous grunge and then white embossed the sentiment to finish the front. And I used my blender pen and ink pads to color the cake I stamped on the inside. A fun card for my awesome husband! 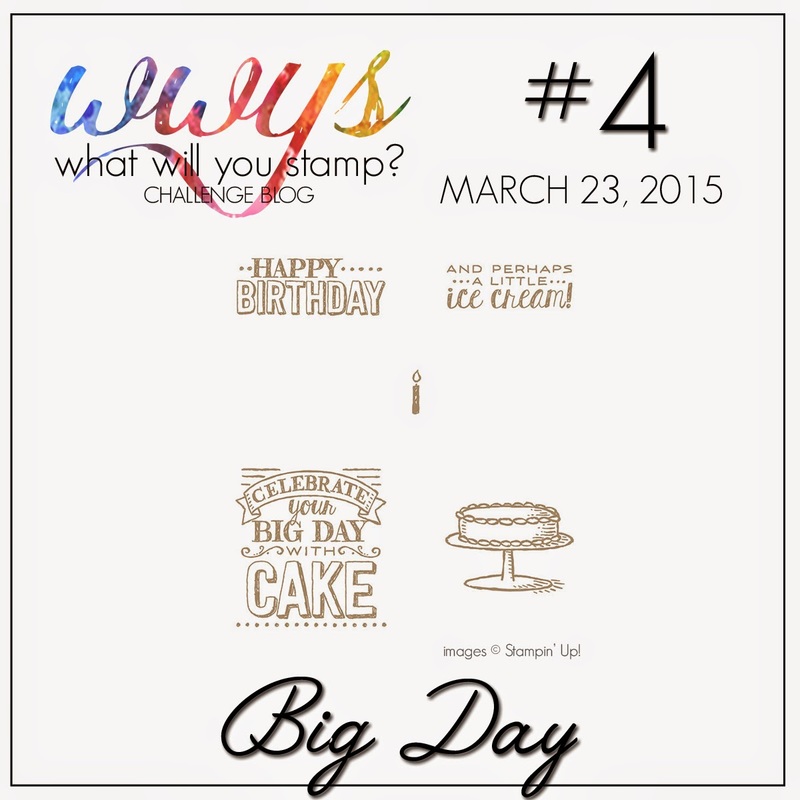 :) Now go check out all the other fantastic cards this week from the What Will You Stamp? design team!! Looks great! Have fun celebrating together! What a great card! Simple and oh so manly!!! Hmmmm, it must be Man Card Monday! Lol! Of course I love your card as always! Great card Amanda! 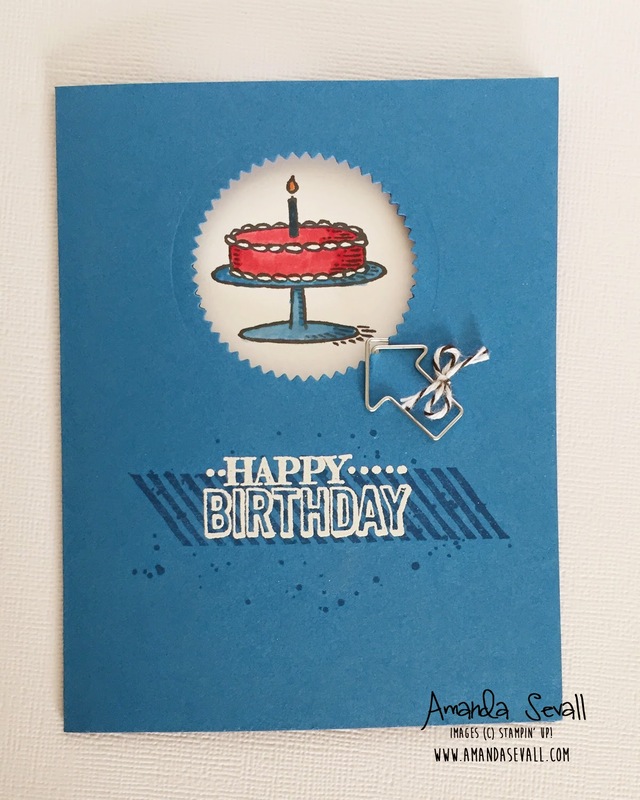 Another great card Amanda! I love the peek-a-boo!